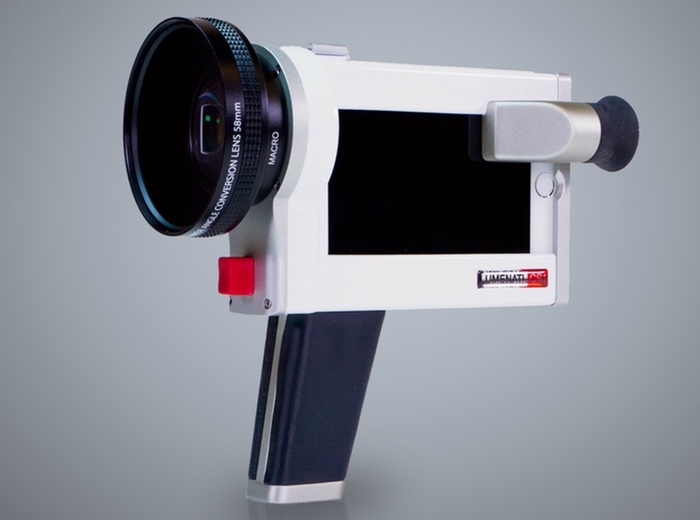 Scott McDonald that has created a very unique iPhone 6 case that takes the form of a Lumenati CS1 that transforms your modern day smartphone into a retro styled cine camera complete with viewfinder and 58 mm lens. The Lumenati CS1 smartphone camera case has been designed to connect to your iPhone 6 or next-generation iPhone that Apple will be launching later this year during September to create a classic film camera. The Lumenati CS1 project is currently over on the Kickstarter crowd funding website and has already raised over $150,000 to make the jump from concept to production. Watch the video below to learn more about the Lumenati CS1 from its creator who explains the inspiration and features you can expect to enjoy whilst using the world’s first cinematic smartcase. So if you think Lumenati CS1 is something you could benefit from, visit the Kickstarter website now to make a pledge and help Lumenati CS1 become a reality.